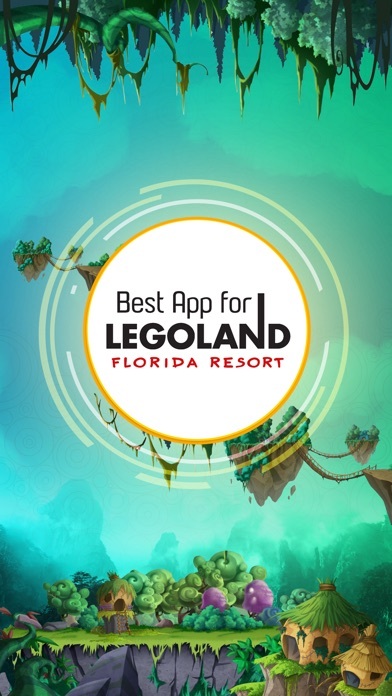 The premier Legoland Florida Resort Guide app includes visitor info, rides, theme parks, water parks, kids rides, shows, hotels, shopping, dining, park hours, attractions, photo gallery, poi search, translator, world clock. Highlights : * GENERAL INFO : park info, hours, guest services, directions, history, tickets, photo spots etc * DINING √ Explore the vast dining options Legoland Florida Resort has to offer by filtering by theme park, mealtime, location, service type, cuisine type and more √ Full dining menus for all park restaurants, carts and stands √ Restaurant info including location, description, tips, seating guides, high resolution photos, and more * SHOPPING Bringing home the perfect souvenir from a day at the park can make your memories last a lifetime. 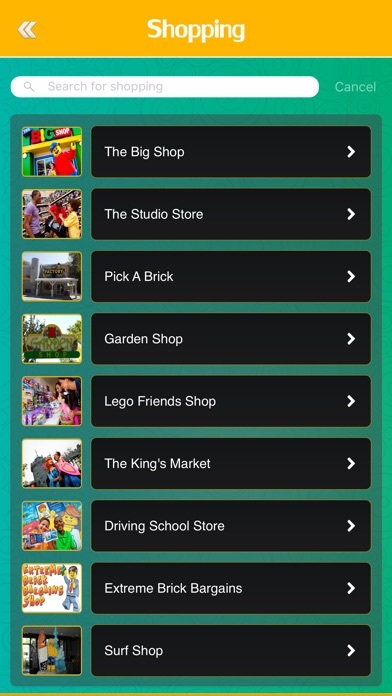 Legoland Florida Resort offers more unique shopping experiences than you are ever to likely find at your local mall! 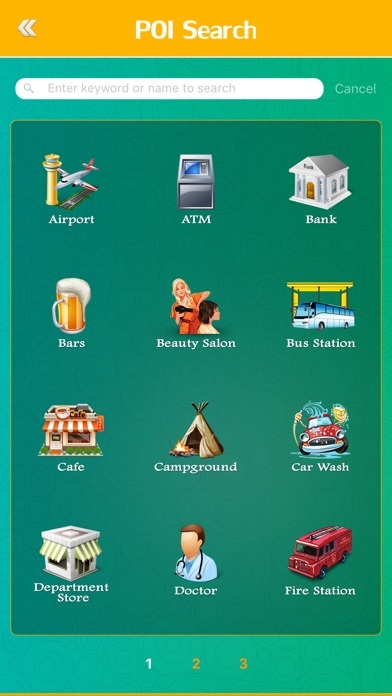 Find of all shopping locations with full details. 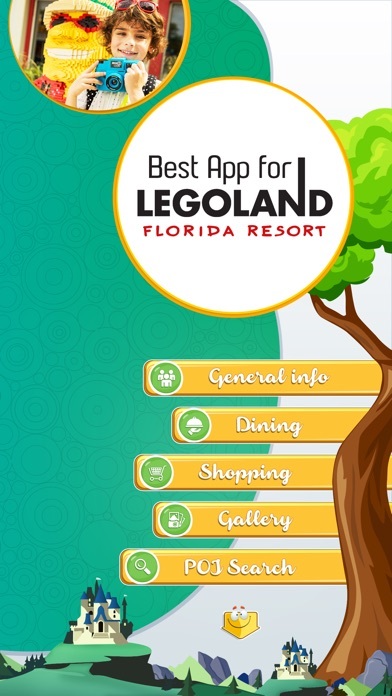 We show you the best Shopping options at Legoland Florida Resort. * GALLERY - Photo gallery of Legoland Florida Resort's most beautiful spots, rides, interesting events, unusual occasions and more. 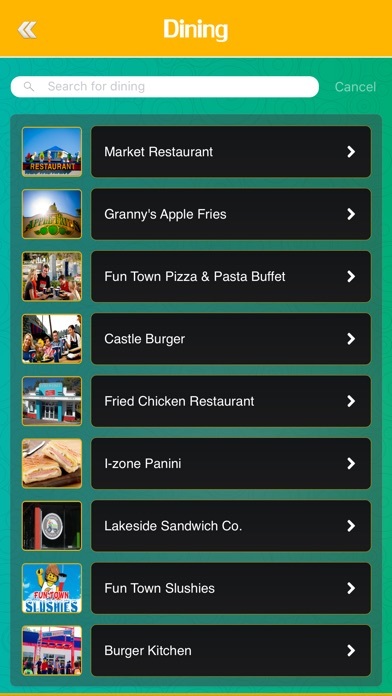 * POI SEARCH - Search everything, as your point of interest in and around the Legoland Florida Resort. (ATM, Bank, Bars, Beauty Salon, Bus Station, Cafe, Doctor, Food, Lodging, Museum, Park, Pizza, Police, Shopping etc) * Translator - Supports 52 languages, large text translation. * World Clock - Covers all major cities of the world (1000 Cities). * This is an unofficial application and not endorsed by or affiliated with Merlin Entertainments.